I prefer my original Rigby .350 Rigby Magnum with a single square bridge, stepped receiver ring, slant magazine box action and a cocking piece sight. I'm not afraid to take it out in the field hunting. XAUSA, With mention of the slant magazine box does your rifle use the Rimmed Rigby 350#2 cartridge or the rimless Rigby 350 magnum cartridge? It's the rimless variety. As I understand it, originally all the magnum length actions from Mauser came with the slant magazines, but not all had the bolt face for the rimmed .400/.350 or .350 #2 cartridges. Later actions came without the stepped receiver ring and the slant magazine. 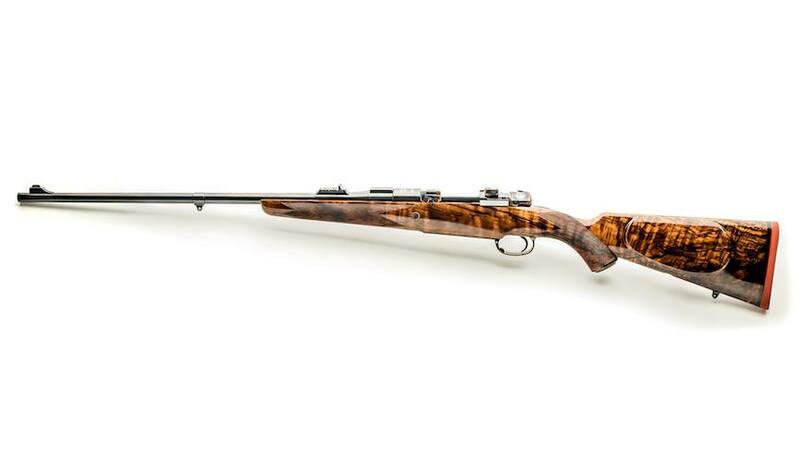 That is a Fantastic looking rifle!! Enjoy! Only the magnum Mauser action for the rimmed .350 came with slanted magazine, all other Mauser actions for .350 Rigby Magnum rimless and for such cartridges as the .404 Jeffery or .280 Ross are fitted with standard deep magazine (not slanted). I have at the rack original .350 Rigby and 404 Jeffery rifles, all built at Oberndorf in the thirties and to have made many big game rifles on Original Mauser magnum action the only ones we have ever encountered with slanted magazine were for .350 magnum rimmed round. I think the important factor is "built by Oberndorf in the thirties". All of the stepped receiver ring, slant magazine magnum Mauser actions I have seen (and I have owned several) are pre World War I, as is the one on my rifle. 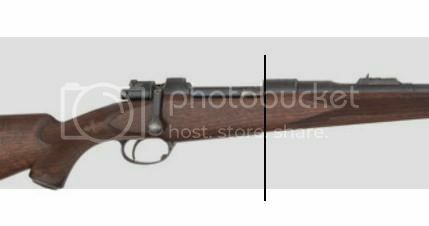 In my opinion, Oberndorf magnum actions as we know them (and I own several of them also) appeared after World War I.
Rimless cartridges work with slant magazines. The usual conversion by Rigby of pre-War .400/.350's and .350 Magnums was a rebore and rechambering job to .375 H&H. Rimmed cartridges can also be made to work with straight magazines, as the P14 Enfield demonstrated. Mauser evidently saw the rimless belted cartridge as the wave of the future and acted accordingly. Sorry xausa, I maintain what I wrote. 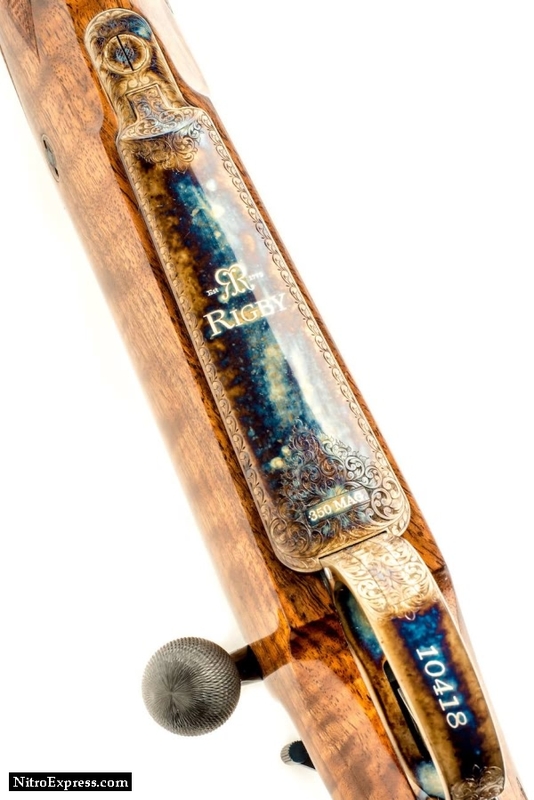 To have examined several magnum systems manufactured before 1912, only versions for rimmed cartridges [400/.350 Rigby] have a slanted magazine. The first magnum actions were made with stepped receiver front ring but the majority had a standard deep straight magazine. 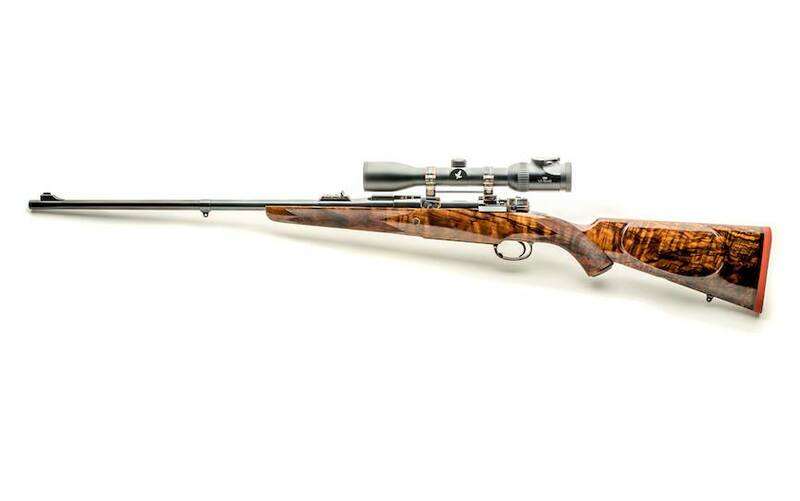 You'll find such rifles pictured in Jon Speed's two remarkable books. 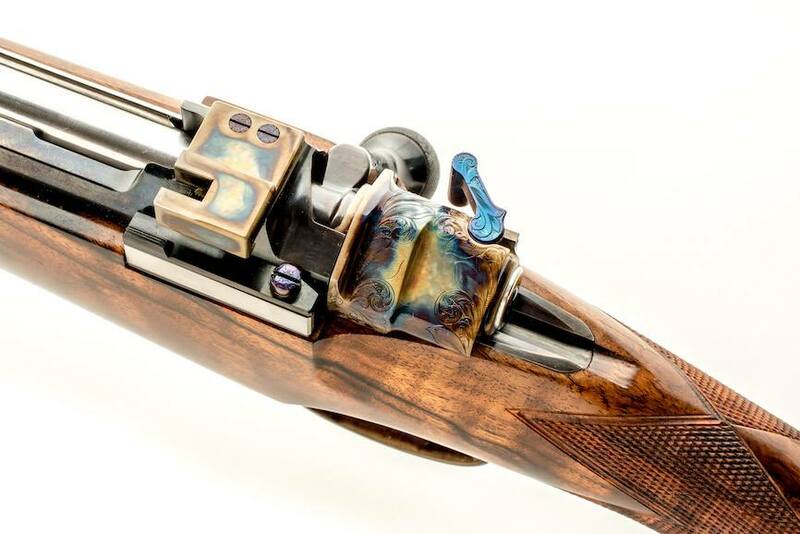 Of course, this does not detract from the elegance of your beautiful rifle. I consulted Jon Speed directly. I’m having a friendly argument with Dorleac on NE concerning whether Rigby ever used slant box actions to build .350 Magnum caliber rifles. I advance the opinion that all stepped ring magnum length actions had slant magazines, which he disputes. Can you settle this disagreement? "Bill. I agree that all Rigby magnum 400/350 magnums had step down rings and slant box magazines. However, its possible that when assembling the later Rimless .350 magnum they may have used up an inventory slant box unit that can be made to handle the rimless .350 etc. So No this was not Original to the Normal Ring .350 Rimless magnum rifle. Dumb events like this occur every so often and confuse folks. Regards, Jon"
That is sweet - says, take me out hunting, NOW! Xausa, thank you for your kind response and your fair play. 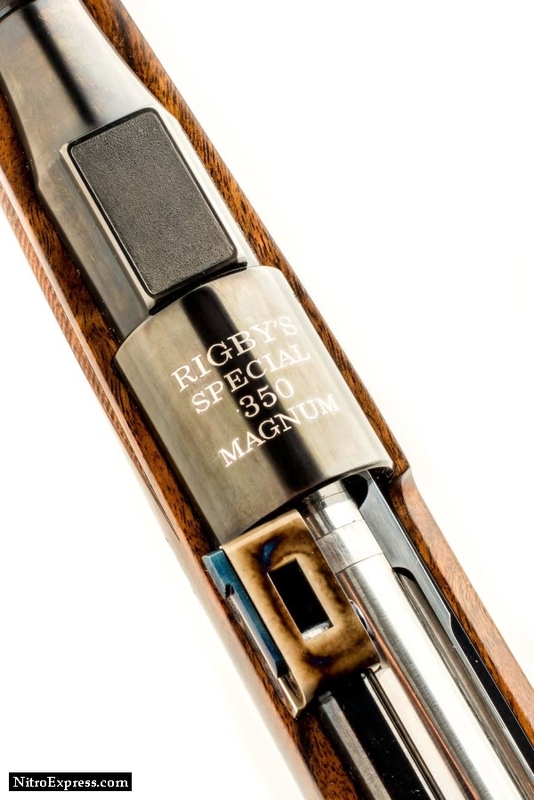 As Jon SPEED makes it clear, in special circumstances RIGBY may have been forced to use slanted magazine box for their .350 Magnum Rimless, but if that happened, it's an exception to the usual rule of using standard magnum magazines. I think that such conversions occurred when it was necessary for them to adapt old stocks to the new rimless cartridge and again, the exception confirms the rule ! Wow! Amazing how a simple question can open the can of worms on the Continental gun trade of the times. Jon, Joel, Bill are all well versed & have come up with a probability to clear the murky waters! 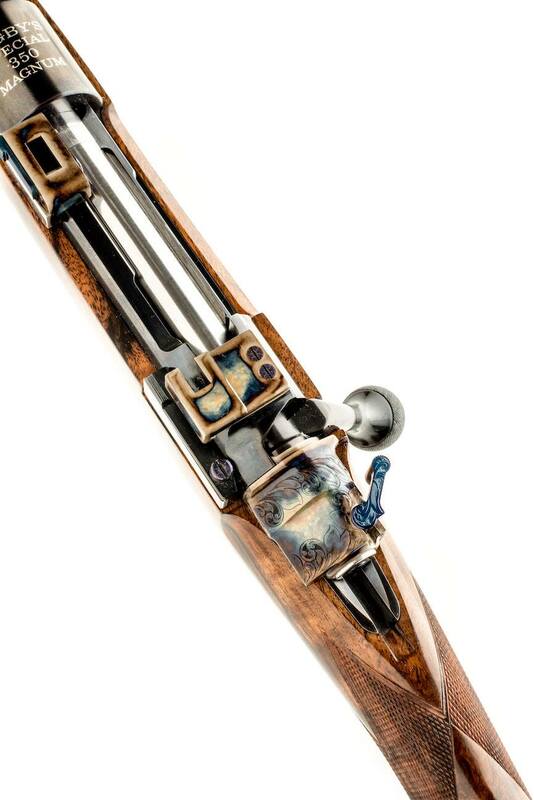 My H. Scherping 350 Rigby #2 Double rifle raises it's own questions. I once had a Lancaster 400/350 Rigby O/U double rifle (made in Belgium). This was in the early 70's and there were no 300 grain .35 caliber bullets available, so I reluctantly let it and a Rigby 400/350 Mauser slant box, step receiver ring, single square bridge bolt gun go. I once took the Lancaster for a walk, to see if there was anything on my farm to shoot. Much to my surprise, what I encountered was a ground hog, which for some reason had decided to climb a tree when he felt threatened. Big mistake. He was the only victim of the DR while in my possession. A few years back, I had an opportunity to buy the Rigby rifle back and did. It had in the mean time been converted to a .375 H&H Magnum and I sent it to Lon Paul for restoration to the original caliber. Alas, it was in Lon's safe when his shop fell victim to a California wild fire. 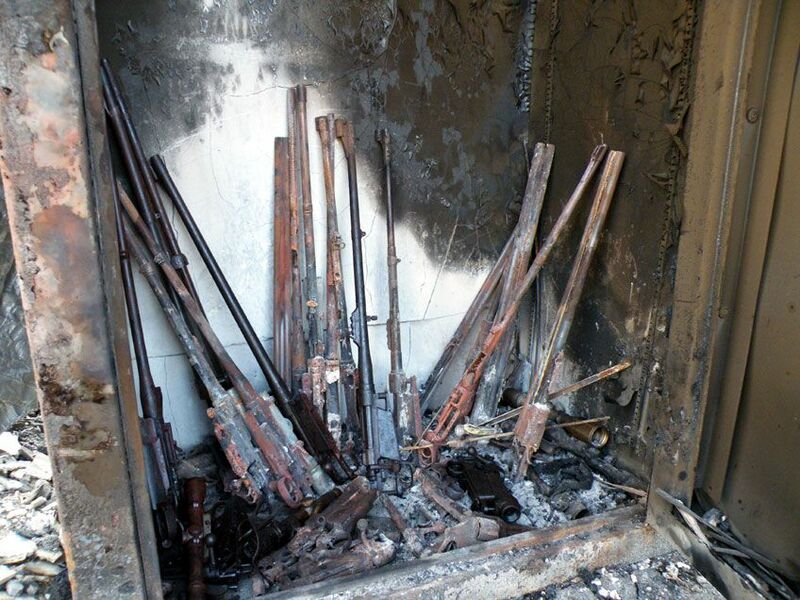 The original Rigby stock which I had located for the project also perished in the conflagration. OOH, that burnt safe is hard to look at! I posted pic's of an original box of Rigby 350 Magnum cartridges awhile back that I have stashed in my ammo collection. I was urging Rigby to bring out the .275 and .350's again a few years ago. And with the Highland Stalker model they well and truly have. 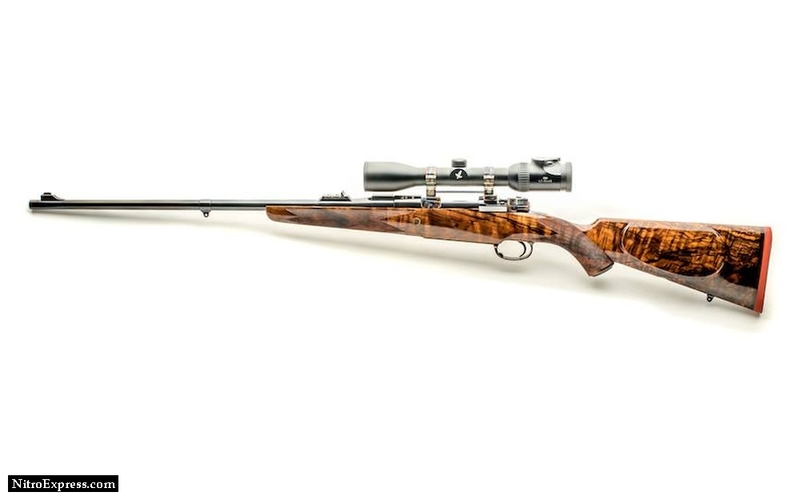 It is great to see the .350 Rigby Magnum again being made in a factory rifle. 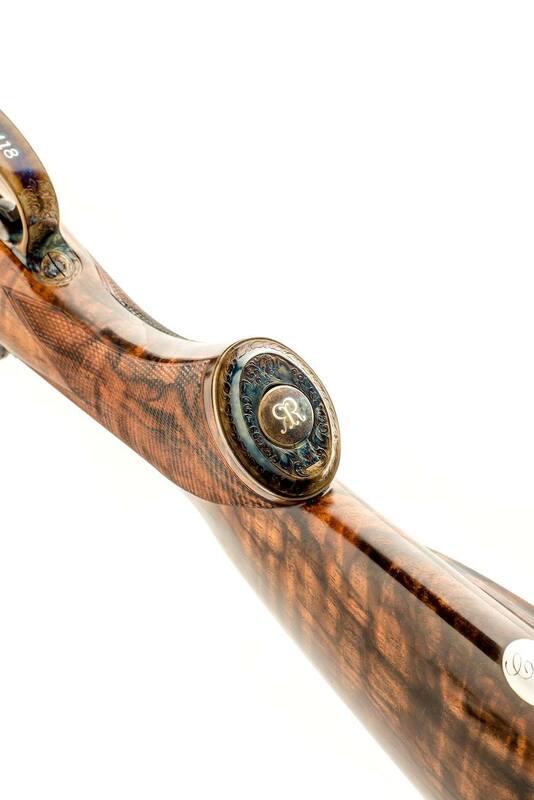 the rifles displayed are special custom london Best shop models. A plainer working rifle is available more "off the shelf". I couldn't afford any of these spectacular rifles either. These series of 25 rifles are designed to highlight some of the special rifles made recently. Fascinating post!! I have a question: what would be the reason for that stepped receiver ring? From what I've observed, a few slant box 400/350s were rechambered to the later 350 Magnum without altering the bolt face as there is only about .005" between them. I suppose replacing the extractor would have been part of a proper conversion though. That would explain the odd step ring/slant box 350 Rimless Magnum one occasionally sees. to my eye, doesn't appear to be a slant box 350. The only way I am able to tell them apart by side view photos is to look for the far forward edge of the floor plate. 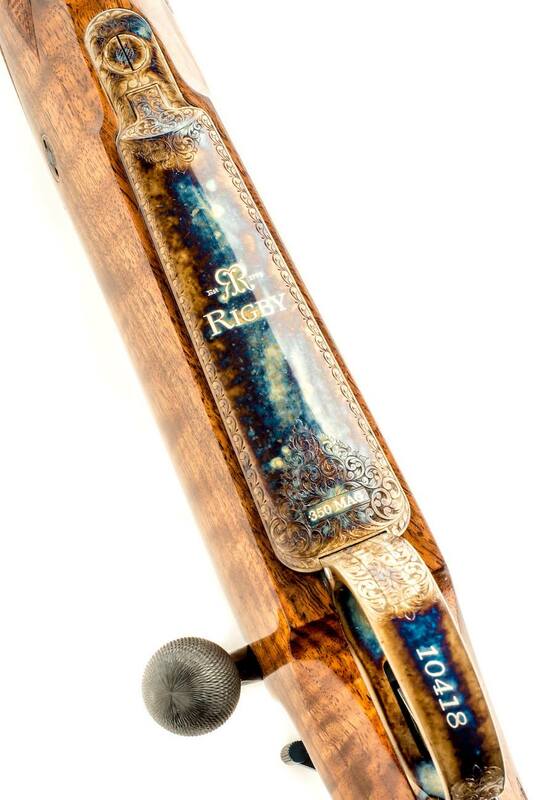 The auction rifle has the forward edge pretty much straight down from the rear side of the receiver ring - as one would expect from a straight down magazine whereas XAUSA's Rigby has the forward edge well behind a vertical line drawn from the rear edge of the receiver ring - magazine slanting rearward from the action bottom. 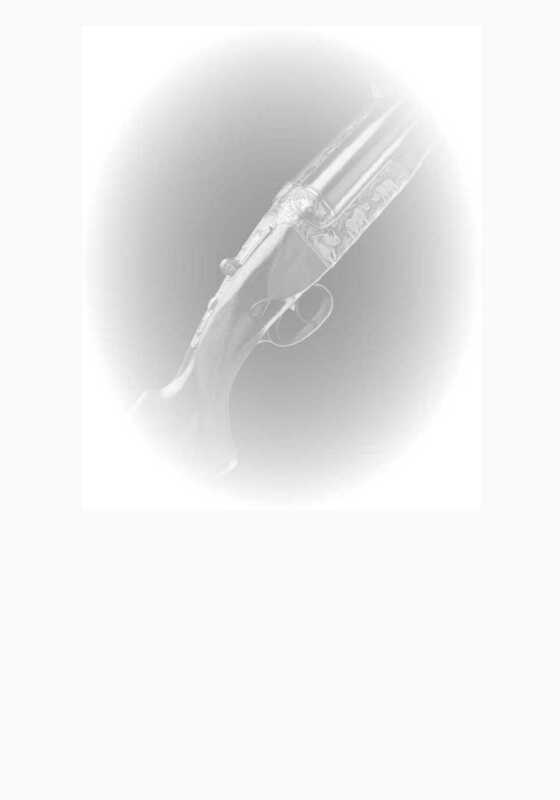 As heartbreaking as the fire picture is, it is a very good visual of a slant box magnum Mauser barreled action. That question crossed my mind also PH. BTW the stepped receivers were small threaded (96 ). I had not even thought about the thread size! Makes sense that the non-step action was standardized for the 416 and 350 Magnum and presumably used from that point on for new builds. 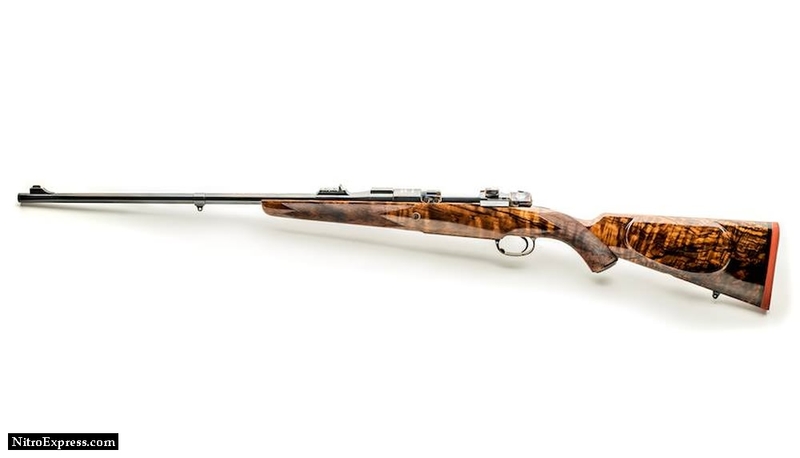 Don't know as a fact, but if you are referring to the current Rigby builds, I doubt any Highland Stalker based rifles use the same action as the "Big Game model" .416 rifles. The Highlamd Stalker rifles are designed as "medium action" rifles not big game rifles. Specific action sizes? Don't know.